In Coburg we see bioanalysis as an interdisciplinary science that combines methodological knowledge from different fields of expertise. Scientists from the fields of microbiology, biochemistry, physical chemistry, pharmacology, molecular biology and biotechnology teach and research in this master’s program. They organize joint projects and thus combine various perspectives and methods. In the master’s program the basic knowledge from the bachelor's program is extended and deepened. Graduates are qualified for demanding tasks in research as well as for management tasks, for example in development, production and quality control. Wide-ranging and intensive regional, national and international contacts to related industries and research institutes establish a solid basis for future activities in industry and research. Further information in German: Bioanalysis M.Sc. Development and Management in Mechanical Engineering and Automotive Construction M.Eng. Analyses of the labor market have revealed that both broadly trained engineers and engineers with specialized expertise are needed. The master's program in Development and Management in Mechanical Engineering and Automotive Construction takes this into account. With the individual selection of their modules, students decide individually whether they focus on the technical areas in both mechanical engineering and the automotive industry, or whether they concentrate on one of the two, or whether they prefer a combination of technology and management (industrial engineering). This master’s program is characterized by a high practical orientation and strong contacts to the field. Two projects in industrial engineering are integral parts of the master’s program. By combining technical expertise with business know-how, students prepare for leadership roles in the industry - in mechanical engineering and in the automotive industry and the diverse supplier industry. Further information in German: Development and Management in Mechanical Engineering and Automotive Construction M.Eng. Electrical Engineering and Information Technology M.Eng. 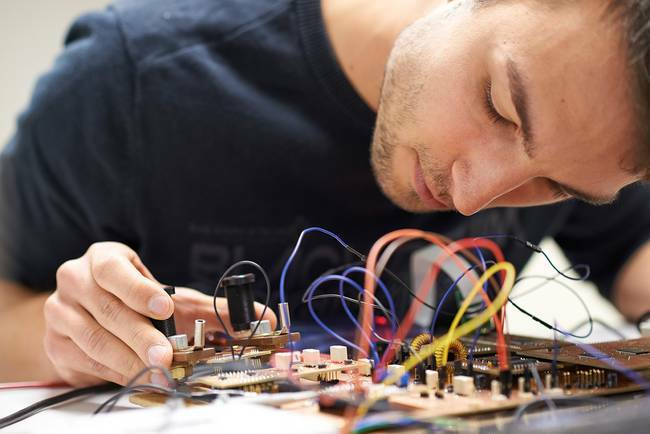 The master’s program Electrical Engineering and Information Technology offers the students the opportunity to design and carry out a project over the course of three semesters. Students are individually supervised by a professor who acts as a mentor. Students have the right to propose a project which can focus on university as well as industrial applications. The project is accompanied by thematically appropriate lectures and seminars which can be selected from the course offerings of the three Universities of Applied Sciences that cooperate in the program: Coburg, Aschaffenburg and Würzburg-Schweinfurt. Moreover, it is possible to select courses from the master’s programs of other neighboring universities. Further information in German: Electrical Engineering and Information Technology M.Eng. The master's program Computer Science is characterized by small groups, and a very good student-staff ratio; interesting and practically oriented topics that are examined at a scientific level are a core element of this program. There are many opportunities for project and master's theses. The master's program is well linked in terms of both teaching and research. For example, students can take courses offered by other master's programs at Coburg University. Further information in German: Computer Science M.Sc. In the development of technical innovations in enterprises today, computerized simulation and experimental tests are closely interrelated. Through the combination of the two, development times and costs can be saved. 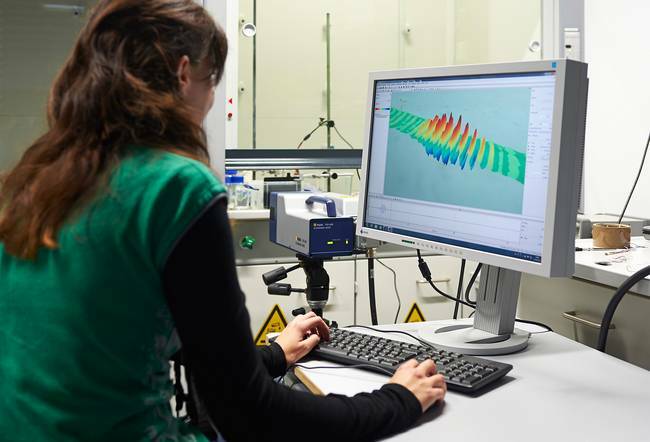 The program Simulation and Testing has two priorities: In the field of simulation, students work intensively with different numerical methods and simulation techniques and learn about their possibilities and limitations; while in the field of testing technology, students become familiar with the design and analysis of experiments using statistical methods as well as with the technical aspects of test facilities. Computer simulation combined with modern testing methods is an integral part of the development process of high-tech companies. The prospective simulation expert can therefore be employed, for example, in the automobile industry or in the field of renewable energy and energy storage. With the acquired scientific competence, a position at a research institute is also possible. Further information in German: Simulation and Testing M.Eng.